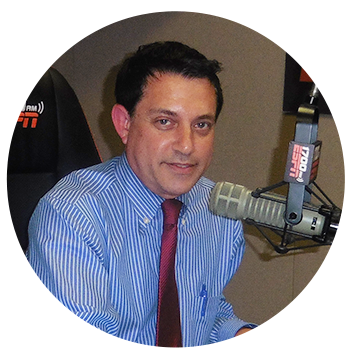 Board Certified Tax Attorney, Jeffrey B. Kahn, the principal attorney of the Law Offices Of Jeffrey B. Kahn, P.C. and head of the KahnTaxLaw team. Licensed Financial Planner, Windus A. Fernandez Brinkkord, Senior Vice President Of Investments at Trilogy Financial Services. 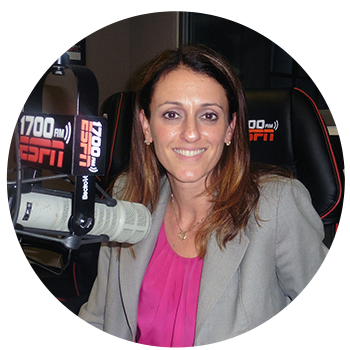 The Inside Advantage Radio Show – Answering Your Questions. You can always check this page 24/7 no matter where you are to listen to replays on demand. When it comes to knowing tax laws and paying IRS taxes, let’s face it — everyone in the U.S. is either in tax trouble, on their way to tax trouble, or trying to avoid tax trouble! And whether you are on the rebound or flying high, we have the information you need to make sound financial decisions and map out your strategy for success. 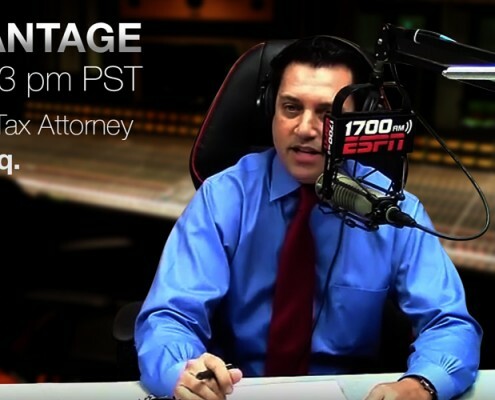 The Inside Advantage Radio Show is co-supported by the Law Offices Of Jeffrey B. Kahn, P.C. At the Law Offices Of Jeffrey B. Kahn, P.C. we provide practical guidance about what business owners and individual taxpayers should do in difficult tax audit, collection, missing tax return, and tax break situations. Do you need professional help with a serious IRS tax issue? We can help with that too. Call us toll free at 866.494.6829. We can provide tax problem representation for individual and small business owner taxpayers in IRS and State audit, collection, appeals matters, criminal tax defense, tax litigation and undisclosed foreign account amnesty. We have offices in Southern California and the Bay Area of Northern California. Being in tax trouble is often a result of being in bad business or life situations. Do these bad situations make you a bad person or bad business owner? Of course not! Tax trouble doesn’t mean you’re bad — neither does it mean that you’re beyond getting help… and having hope. Let us attempt to make your tax situation less taxing! Through our Northern California offices in Walnut Creek, San Francisco, and San Jose and our Southern California tax attorney offices in Long Beach, Ontario, Irvine and Carlsbad, all matters are confidentially handled by our professional staff, resulting in high quality, cost-effective service. Click here for an interactive map of our California offices. Our tax lawyers are available by calling toll-free 866.494.6829. Set up a consultation today and we’ll help identify the best possible solution to your tax problems, whether that’s arranging an offer in compromise, setting up a payment plan, or pursuing another solution to effectively deal with your tax liability.